What is the School Counselors Role in PBIS/RTI in the School Counseling Program? 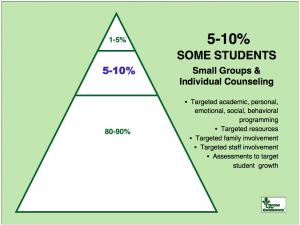 What Is the School Counselor’s Role in PBIS/RTI in the School Counseling Program? School Counselors need a comprehensive plan and a systematic process for understanding their role and responsibilities within our school community. 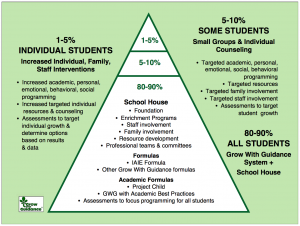 School counselors and the school counseling program are key in this process because of their focus on personal, social, emotional, behavioral, academic, and career skills needed for success. School Counselors need to understand how to prioritize their time so they can reach the student-centered standards that only they can offer all students while being a member of the PBIS/RTI support team. PBIS is a prevention general education framework that works for all students. 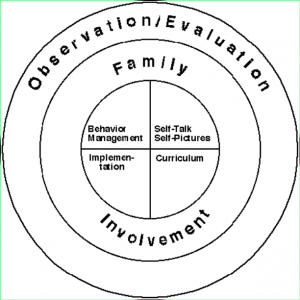 Positive Behavioral Interventions and Supports (PBIS) is a general term that refers to positive behavioral interventions and systems used to achieve important behavior changes. PBIS was developed as an alternative to aversive interventions used with students with significant disabilities who engaged in extreme forms of self injury and aggression. PBIS is not a new theory of behavior, but a behaviorally based systems approach to enhancing the school’s ability to design effective environments that are conducive to quality teaching and learning. The National Education Association (NEA) views PBIS as a general education initiative, though its impetus is derived from the special education law, the Individuals with Disabilities Education Act (IDEA). 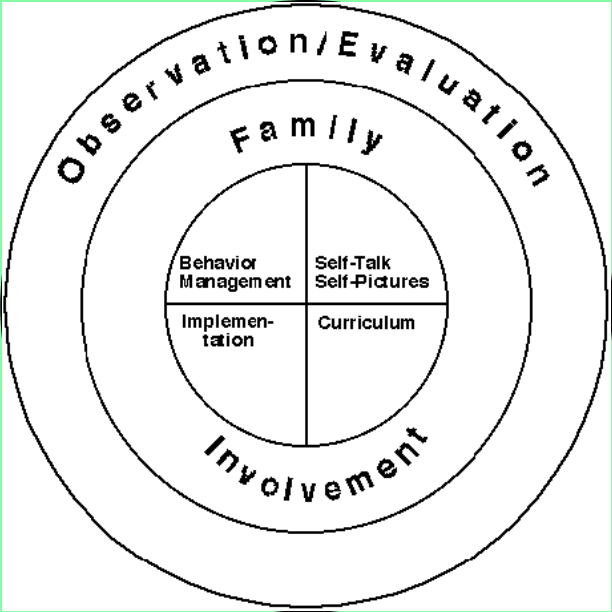 Response to Intervention (RTI) is a multi-tier approach to the early identification and support of students with learning and behavioral needs. Response To Intervention is the practice of providing high-quality instruction and interventions matched to student need, monitoring progress frequently to make changes in instruction or goals, and applying child response data to important educational decisions. It is recommended that all system information be included for families when possible. achievement test scores by up to 11 percentile points. The Systems approach demonstrates ways to create an inviting school climate while effectively meeting the learning needs for all students with an RTI process that addresses the needs of the whole child. What Are Three Things You Can Do Now To Integrate Ideas Discussed Today? Real live collaboration is 50% of all work in the real world. Students can develop their spirit, purpose and potential when . . .
A 43-question diagnostic class climate assessment, taken by students, which gives student input about their classroom experiences and whether they have a feeling of being “invited”; a diagnostic tool to involve students and get their input on ways to improve climate and school relationships; one indicator of ways to support staff growth experiences and plans; one way to observe and evaluate change at the end of a school year through pre-post assessment; the school climate assessment included in The Grow With Guidance® System. A 42-question diagnostic curriculum assessment taken by students that provides student input into their classroom guidance curriculum activity selection; a diagnostic tool to involve students and create a sense of student ownership for guidance skill implementation and change (Note: ownership occurs when students “own” a problem and admit, recognize, and acknowledge personal needs and challenges that support assuming responsibility and commitment for change); assessment questions asked in the five essential learning strands of the curriculum of The Grow With Guidance® System; one way to observe and evaluate change at the end of the school year through pre-post assessment; the student curriculum assessment included in The Grow With Guidance® System. Many in education, psychology, sociology, and related fields have recognized the significant relationship between self-concept and school achievement. On the basis of available research, it now appears that students who doubt their ability to learn in school carry with them a tremendous educational handicap. 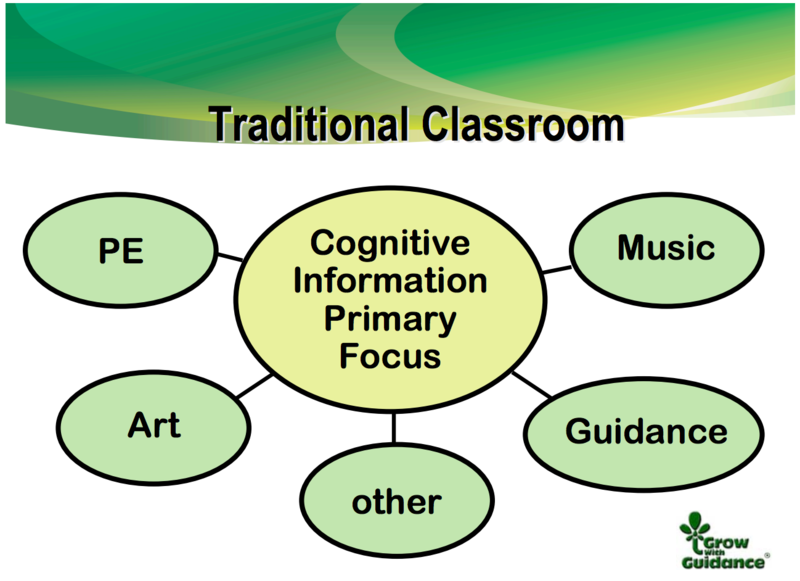 The purpose of The Florida Key is to provide teachers, counselors, and related professionals with a relatively simple instrument designed to measure both inferred and professed student self-concept-as-learner. It provides teachers and related professionals insight into students’ perceptions of themselves as learners. The Florida Key identifies and measures selected student behaviors that are believed by classroom teachers to correlate with positive realistic student self-concepts in the area of school success. The Self-Concept Series is taught to all students. All are important and valuable no matter what they think, say, feel, and do. All show they are remembering their worth by making helpful choices toward themselves and others. They are responsible for helping not hurting self and others. All are responsible for their choices. This accountability empowers all to make improvements because of their worth. 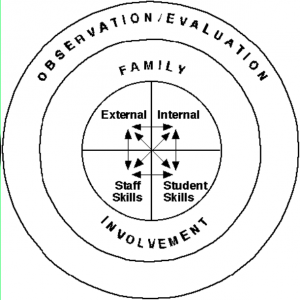 Creating the Climate and Culture Needed for Successful Response to Intervention – A Systems Approach. This presentation demonstrates ways that a Guidance Systems approach creates an inviting school climate while effectively meeting the learning needs for all students with an RTI process that works. Participants will learn about the System and RTI while exploring ways the System supports the whole child’s development in an inviting climate and culture. The impact of Social Emotional Learning Programs is documented by recent research to increase academic achievement test scores by up to 11 percentile points. Contact us with questions and comments. Remember: The impact of Social Emotional Learning Programs is documented by recent research to increase academic achievement test scores by up to 11 percentile points. The Systems approach demonstrates ways to create an inviting school climate while effectively meeting the learning needs for all students with an RTI process that addresses the needs of the whole child. A comprehensive, developmental guidance system for classrooms and schools with the necessary components for success. Each component is implemented slowly and simultaneously with a 3- to 5-year plan until all system components are in place. The interactive, interrelated, and interdependent movement between system components. 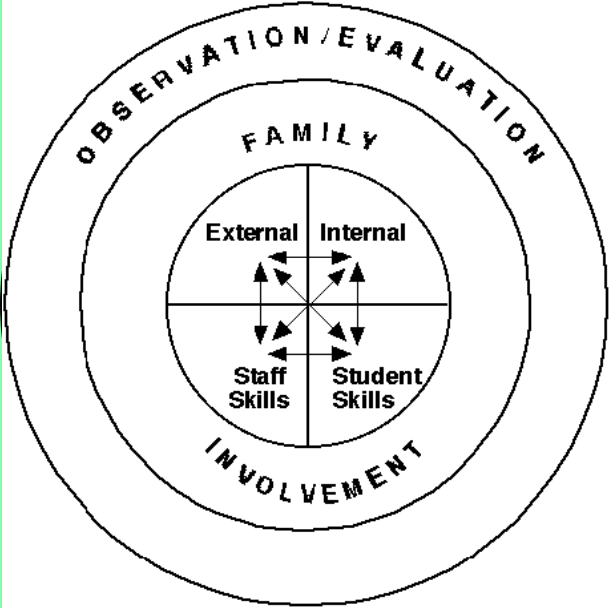 A way of defining the classroom as a simulation in which students, pre-K-12 and beyond, learn, experience, and apply the essential skills needed for life; the comprehensive developmental guidance system creates a life lab in every classroom through which students develop a conscious and intentional from of reference that can be applied throughout life. 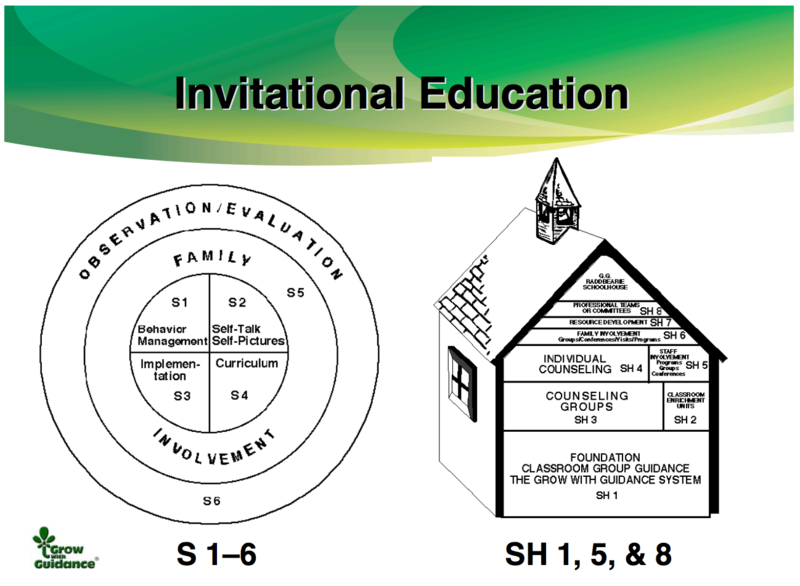 A Conscious and Intentional Plan with the skills and processes needed for a winning invitational education program. A Life Lab of experiences needed for post-school success. there is a plan for change that is an integral part of the day-to-day operation of a school. 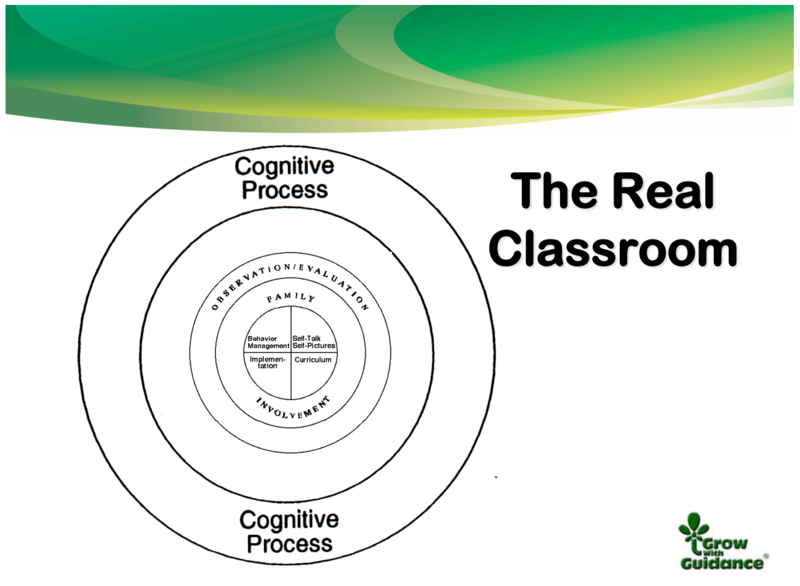 there is a conscious plan to support the self-concept development of all within a school. the perception of students, staff, and families regarding school relationships, procedures, and policies is communicated and modified when it is destructive. personal, social, emotional, and behavioral skills are taught. students provide ongoing feedback to educators as to their day-to-day experiences in school. 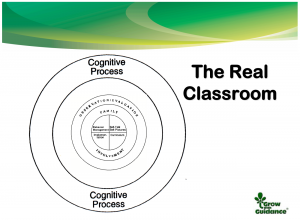 there is an intentional process for consciously creating an inviting environment for all students. Response To Intervention (RTI) is the practice of providing high-quality instruction and interventions matched to student need, monitoring progress frequently to make changes in instruction or goals, and applying child response data to important educational decisions. Increased academic, personal, emotional, behavorial, social programming. Increased targeted individual resources and counseling. Assessments to target individual growth and determine options based on results and data. A 43-question diagnostic class climate assessment, taken by students, which gives student input about their classroom experience and whether they have a feeling of being “invited”; a diagnostic tool to involve students and get their input on ways to improve climate and school relationships; one indicator of ways to support staff growth experiences and plans; one way to observe and evaluate change at the end of a school year through pre-post assessment; the school climate assessment included in The Grow With Guidance® System. Many in education, psychology, sociology, and related fields have recognized the significant relationship between selfconcept and school achievement. On the basis of available research, it now appears that students who doubt their ability to learn in school carry with them a tremendous educational handicap. 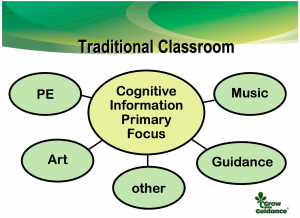 The purpose of The Florida Key is to provide teachers, counselors, and related professionals with a relatively simple instrument designed to measure both inferred and professed student self-concept-as-learner. It provides teachers and related professionals insight into students’ perceptions of themselves as learners. The Florida Key identifies and measures selected student behaviors that are believed by classroom teachers to correlate with positive realistic student self-concepts in the area of school success. 1. All are important and valuable no matter what they think, say, feel, and do. 2. All show they are remembering their worth by making helpful choices toward themselves and others. They are responsible for helping not hurting self and others. 3.All are responsible for their choices. This accountability empowers all to make improvements because of their worth. Radd, T. R. (2007). The Grow With Guidance® System Manual. Third Edition. Revised. Omaha, Nebraska: Grow With Guidance. isbn: 978-1-878317-53-7 (1-878317-53-9). Radd, T. R. (2007). The Grow With Guidance® System Primary Level. Third Edition. Revised. Omaha, Nebraska: Grow With Guidance. isbn: 978-1-878317-54-4 (1-878317-54-7). Radd, T. R. (2007). The Grow With Guidance® System Intermediate Level. Third Edition. Revised. Omaha, Nebraska: Grow With Guidance. isbn: 978-1-878317-55-1 (1-878317-55-5). Radd, T. R. (2007). The Grow With Guidance® System Middle School Level. Third Edition. Revised. Omaha, Nebraska: Grow With Guidance. isbn: 978-1-878317-56-8 (1-878317-56-3). Radd, T. R. (2007). The Grow With Guidance® System High School Level. Omaha, Nebraska: Grow With Guidance. isbn: 978-1-878317-57-5 (1-878317-57-1). Radd, T. R. (2007). The Grow With Guidance® System Fun Game. Second Edition. Revised. Omaha, Nebraska: Grow With Guidance. isbn: 978-1-878317-49-0 (1-878317-49-0). Radd, T. R. (2006). 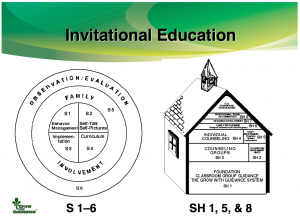 The History, Development, and Research of the Educational Systems Model: The Grow With Guidance® System. Omaha, Nebraska: Grow With Guidance. isbn: 978-1-878317-52-0 (1-878317-52-0). Radd, T. R. (2003). Teaching and Counseling for Today’s World Pre-K–12 & Beyond. Omaha, Nebraska: Grow With Guidance. isbn: 1-878317-48-2. What’s the Role of Self-Concept in School Climate and Career Readiness? The role of self-concept is often overlooked or ignored as positive school climate and career readiness programs are developed. Learn about the essential missing link of self-concept in this workshop. The self-concept series and weave process is explained in detail with implications and implementation for your school counseling community. 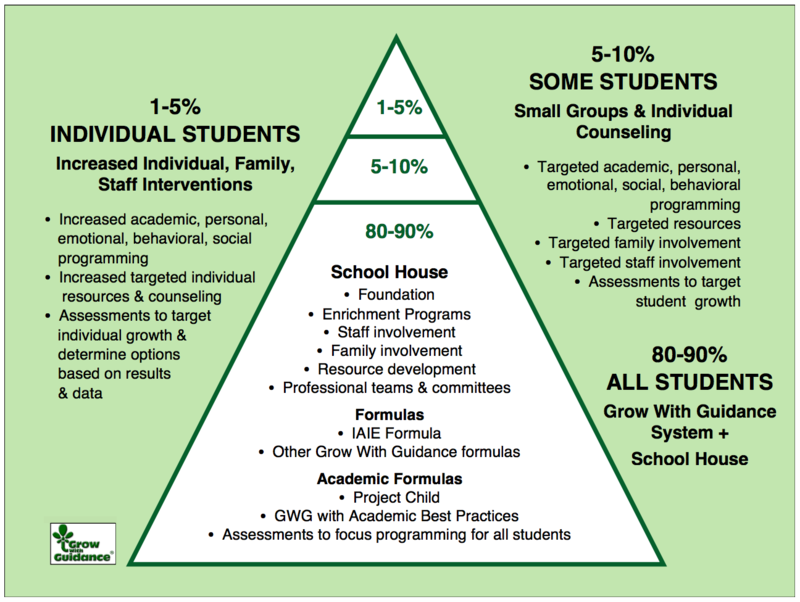 You can count on us to help you put everything in this PPT in place within your school counseling program! Participant Brainstorm for Implementation of SCS. The whole is equal to more than the sum of its parts. —Tommie R. Radd, Ph.D.
Hi. My name is _______________. I am valuable because there is no one else like me in the world. One thing about me is ________________________. List 3 ways you can begin the SCS-Weave in your program and school. Explain ways that addition supports an inviting climate and career readiness.